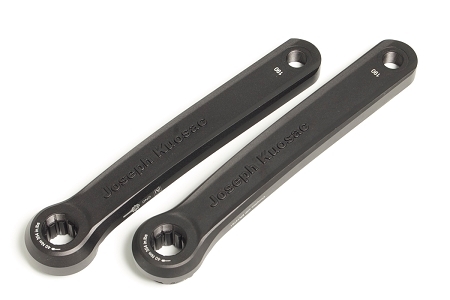 The Joseph Kuosac or JK road bike crankarms only. purchased a set of 190mm crankarms with spider for compact setup. used the zinn formula for inseam length to determine the 190 length. very worthwhile upgrade for a taller rider. have ridden 175mm my whole life, and these work great for me. a noticable difference in the spin, but i have adjusted just fine. quality unit, good service and cust. support. should have made this purchase years ago.